This week we're ending up our little trip around South East Asia. Nothing surprising today as we'll follow some previous posts from a few months ago about Vietnamese popular music during war time. 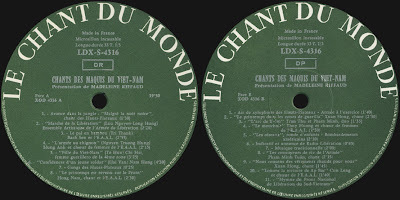 The big difference is that this time it's not a record produced by Vietnamese people, it's an outsider's view that mixes music, historical document and environemental atmosphere from deep inside the jungle: CHANTS DES MAQUIS DU VIET-NAM (Le Chant Du Monde LDX-S-4316 from 1968). Recorded in the Jungle by Madeleine Riffaud (who is also credited for the photos and texts) is an interesting Lp on quite a few levels. 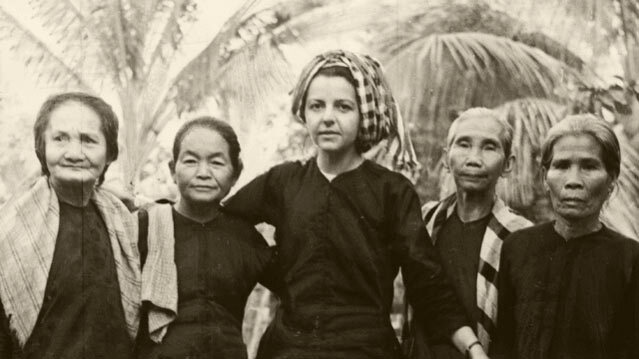 at 18' Madeleine Riffaud became a young heroin of the world war 2 French resistance, she is a poetry writer and a war time journalist (she covered the war in Algeria and in Vietnam). She is still active and she recently produced some documentaries about those subjets. 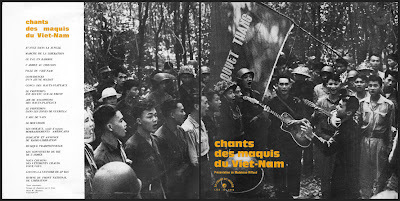 This recording is not only a great militant of peace and freedom document but also an interesting point on the music of this era. 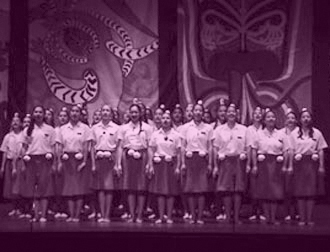 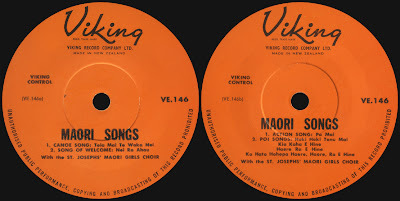 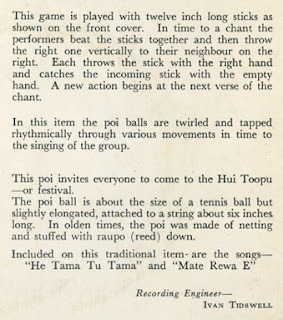 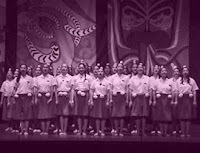 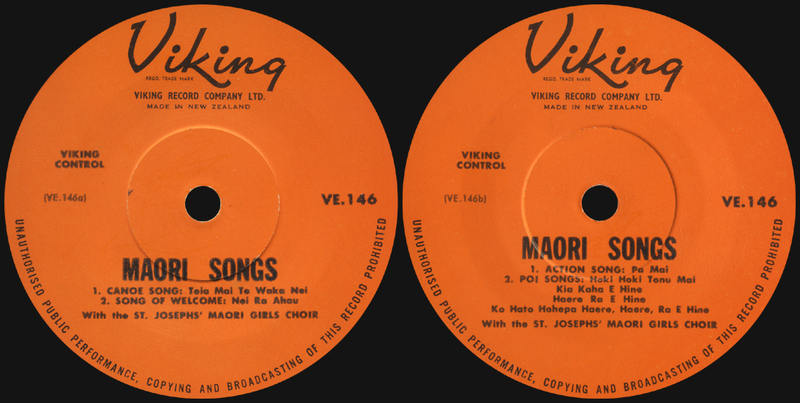 It mixes gongs an other percussions, men and women vocal ensembles, traditional songs and also atmosphere recordings (kids playing, birds, radio...). 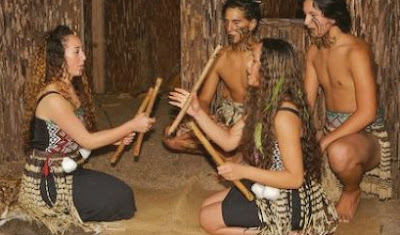 The sound is a little windy but it's a great listening! 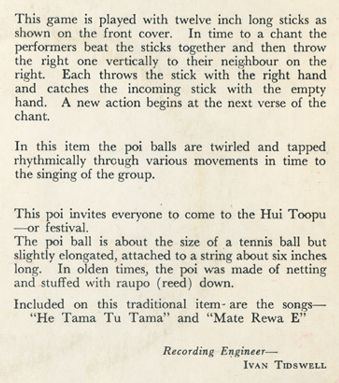 Ladies & Gentlemen, This week, we continue our short trip around South-East Asian music and, as last week, we'll enjoy some traditional buddhist percussions. 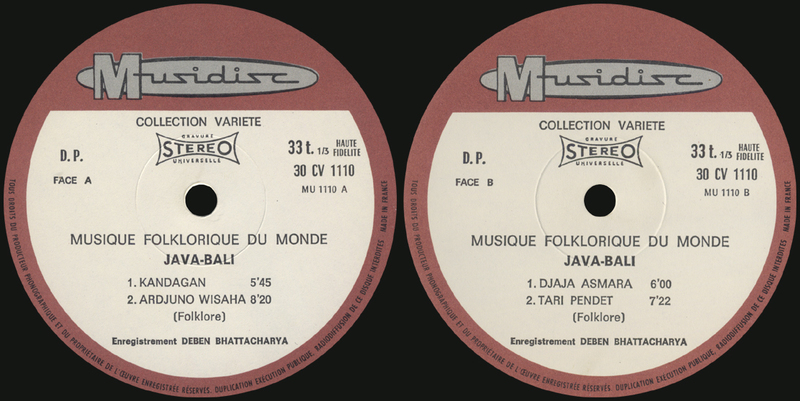 Today, we have a recording from the prolific ethno musicologist Deben Bhattacharya who produced more than 100 recordings from all around the world (plus numerous books and movies) about various musical traditions. 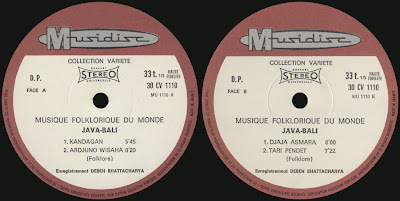 This time he was in Indonesia for the "Musique folklorique du monde" series with: BALI-JAVA (Musidisc 30 CV 1110 from the 60's). 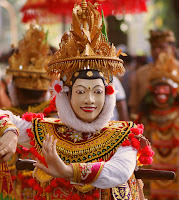 Indonesia is one of the countries in the world that have the most amazing amount of highly interesting musical cultures. This is due to it's particular topography made of thousands of islands and also of the mix of various religious cultures and a large amount of different ethnies. 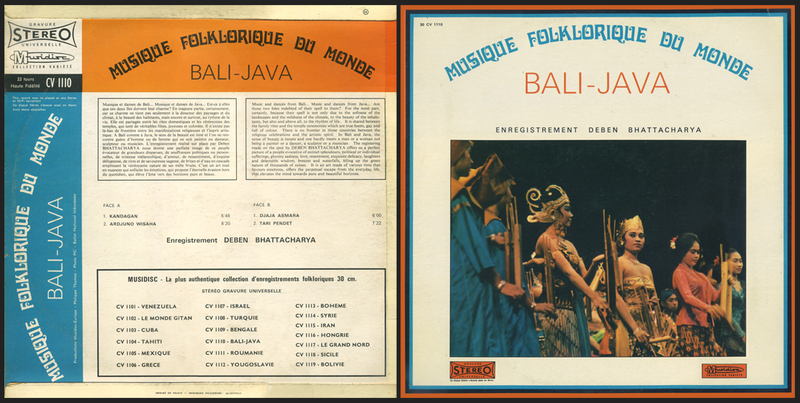 It's not surprising that all the greatests traditional music labels released a huge amount of documents on Indonesian music over the years! 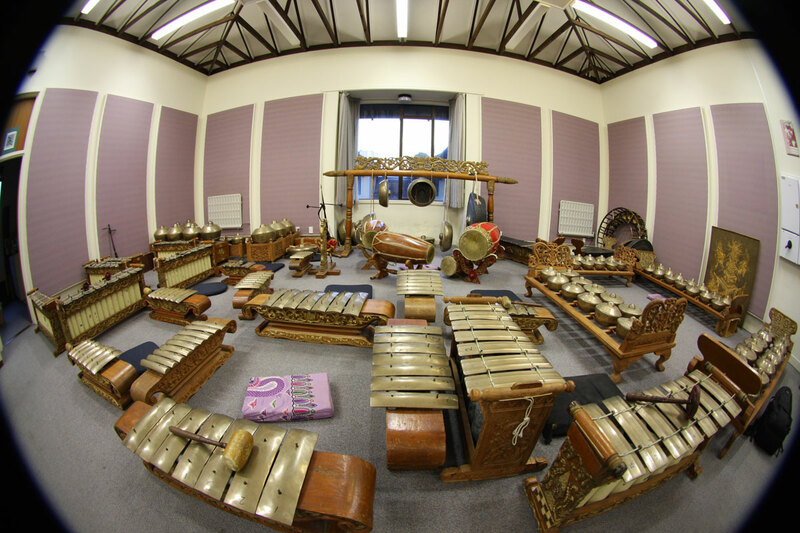 This week's recording focuces on the Gamelan percussion orchestras from Bali and Java (though no infomations are given on the cover to tell us more about witch ones are from Bali or Java and the particularity of each track). Today, to celebrate the Sonkran festivities (Thai lunar new year) we'll enjoy some classical music with THAILANDE, MUSIQUE CLASSIQUE DU NORD (Playa Sound PS 33522, recorded in 1973, published in 1982). 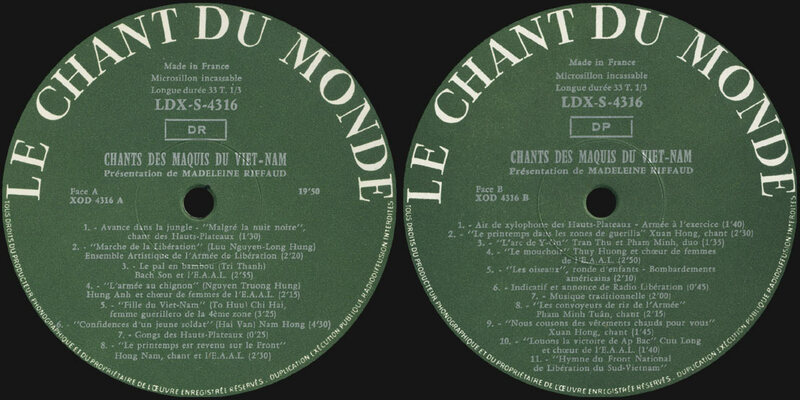 This great LP is the 17th record of a collection focussing on traditional Asian music, "Musique de l'Asie traditionnelle". The recording we have today had been done by Hubert de Fraysseix, though I could not find much informations on his works I noticed he also did some recordings In Portugal and India. 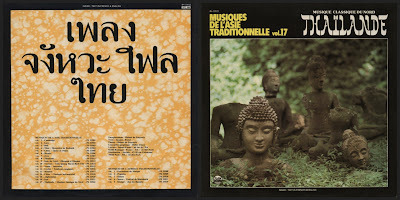 This time he was in Northern Thailand to record classical music and he knew what he was doing! 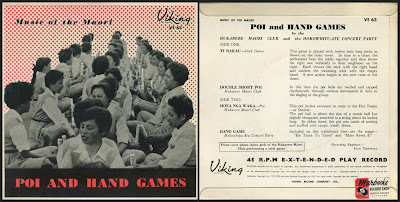 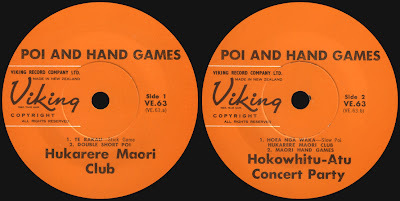 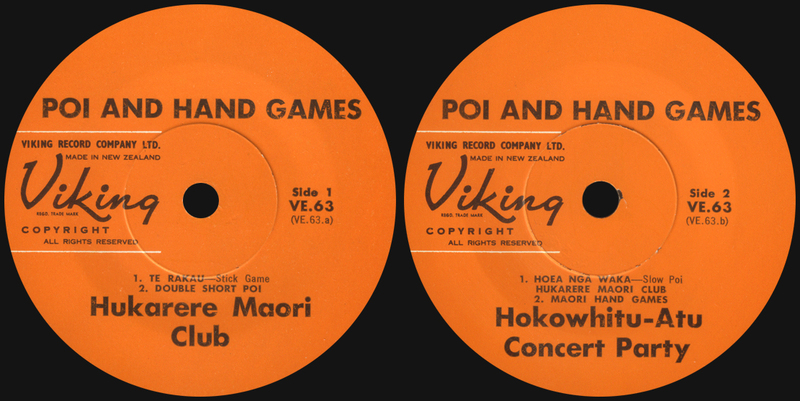 We got some different wind and percussion instruments, bold and deep classical buddhist music orchestrations from the north: PI CHANAI, PHI PHAT and PHI NAI... It's trully gorgeous! 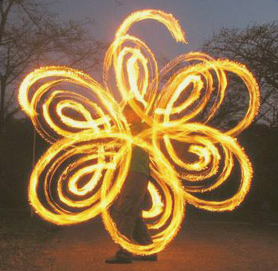 Happy Sonkran celebrations to the Thai people! 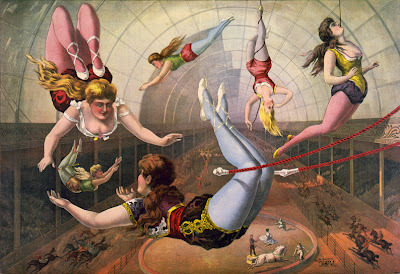 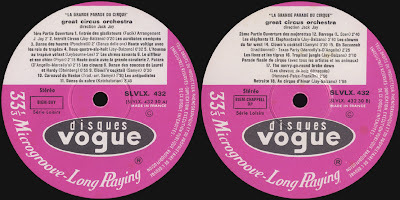 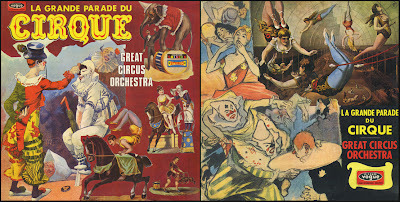 Today is party time with the GREAT CIRCUS ORCHESTRA, "LA GRANDE PARADE DU CIRQUE" (Disques Vogue, SLVLX 432 late 60's recording). 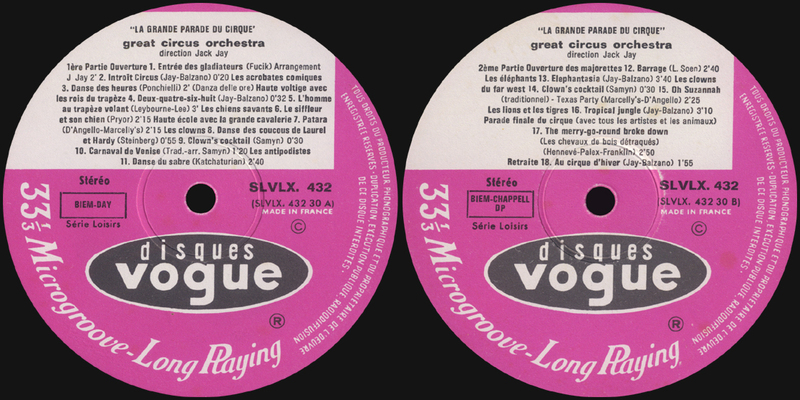 I was pretty happy when I first played this record I recently found at a freezing flea market. Grab some popcorns or make some pancakes for everybody and enjoy!